After selected mobile device (As we have selected 4 device), add phone numbers and text messages either manually or using "Import and Composing Options". You can also use other advanced features of software such as Delayed Delivery Option, Retry attempts on Failed SMS, Exclusion List Wizard, Save Sent Items, Save sent message to Templates etc and click on "Send" button to send messages. 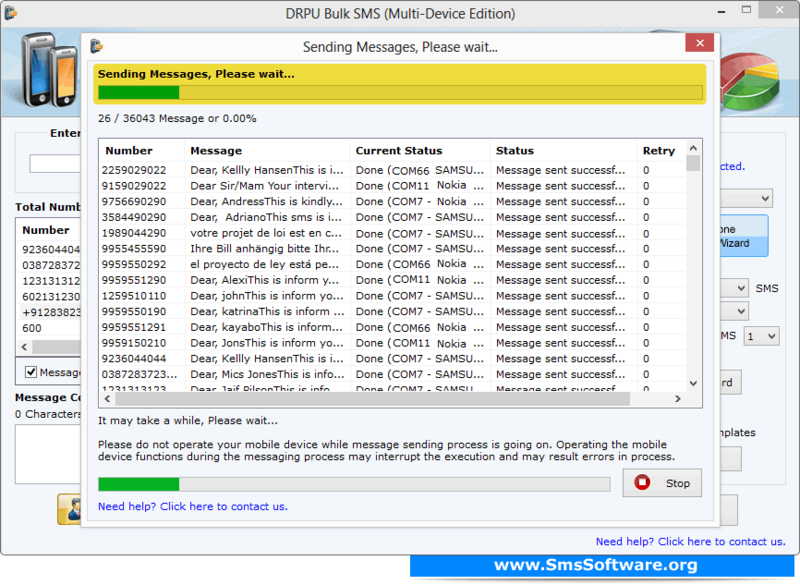 View running status of SMS sending process.